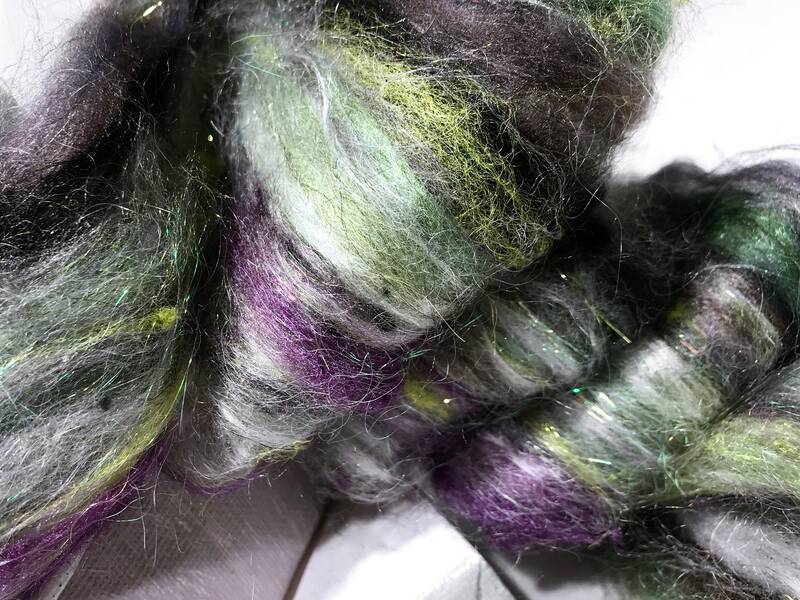 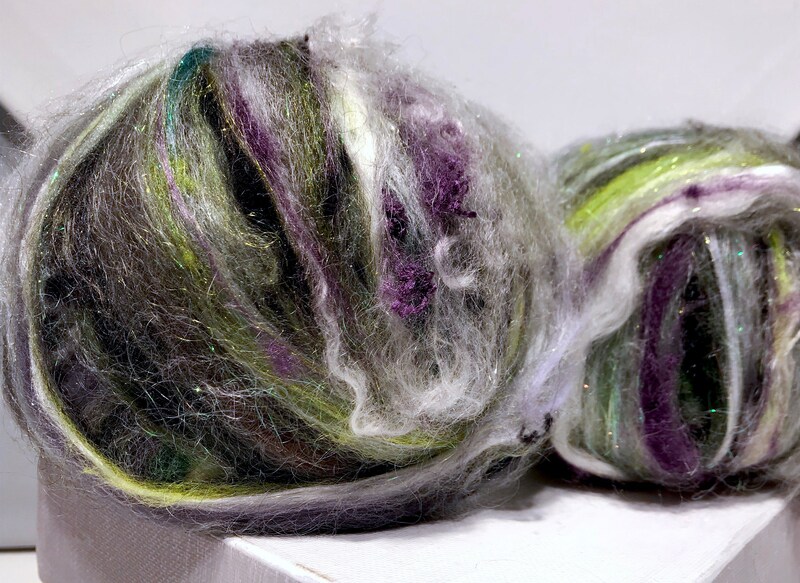 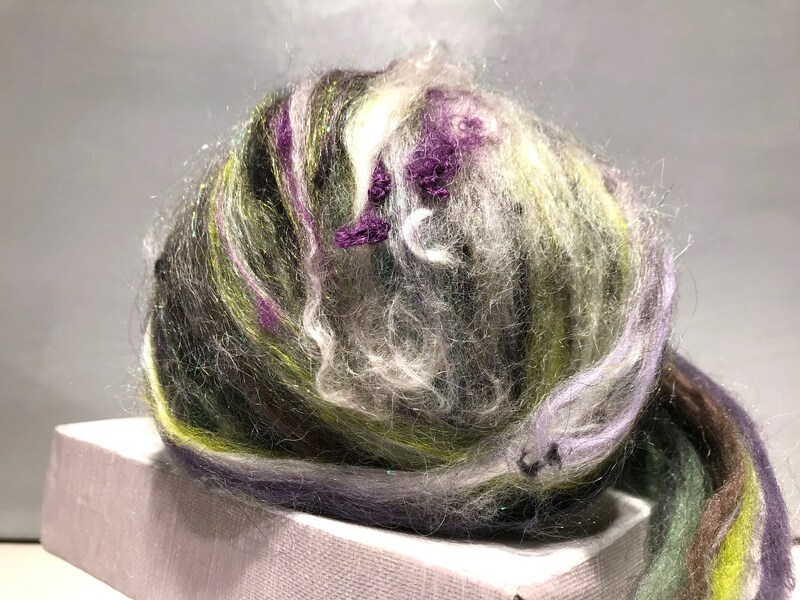 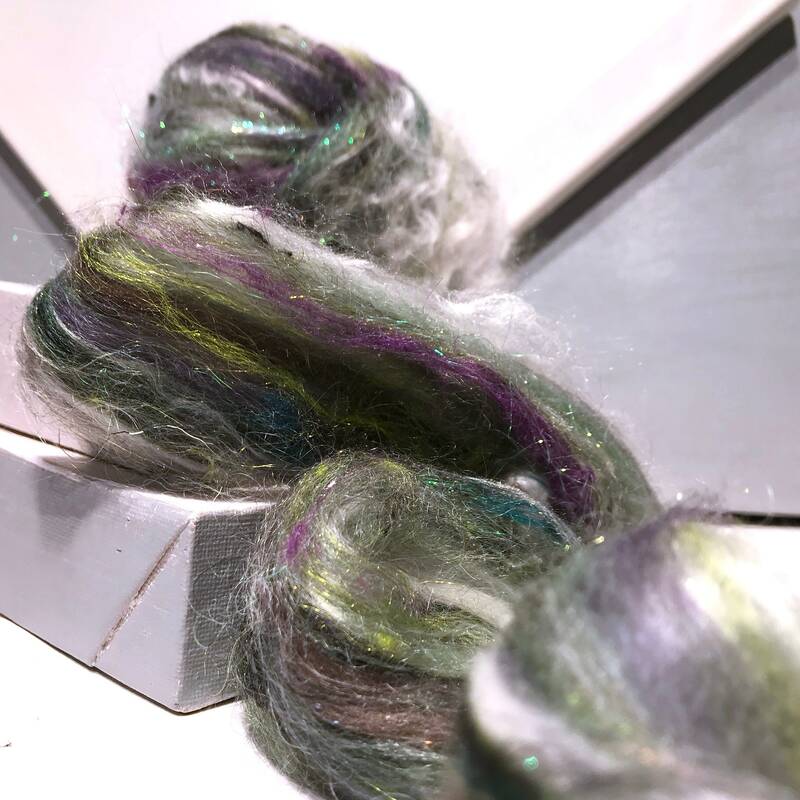 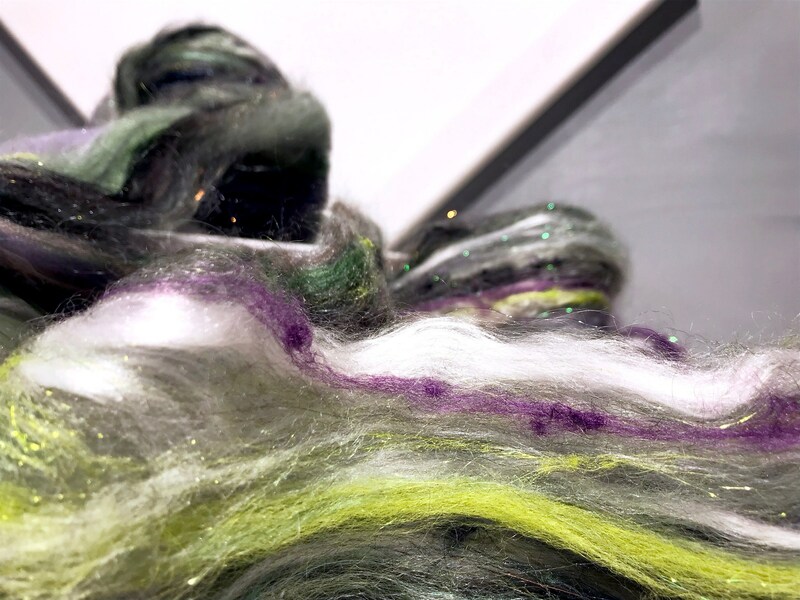 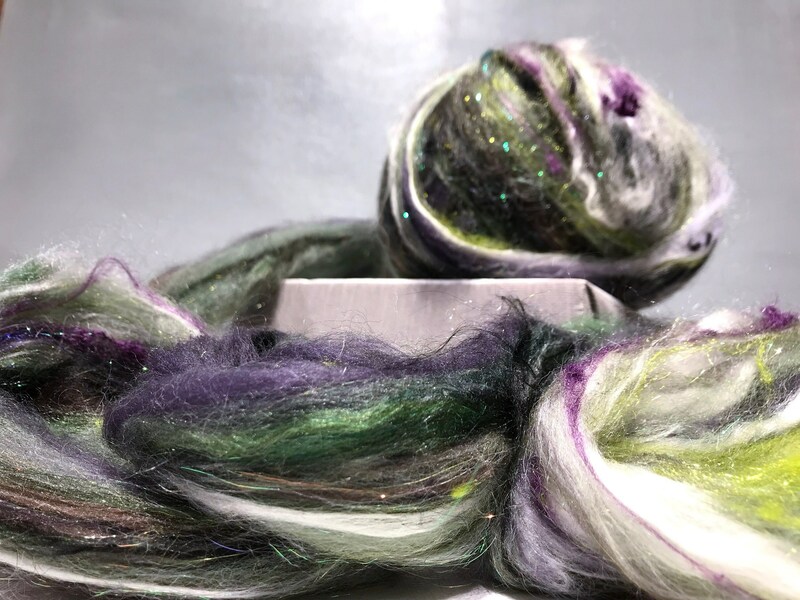 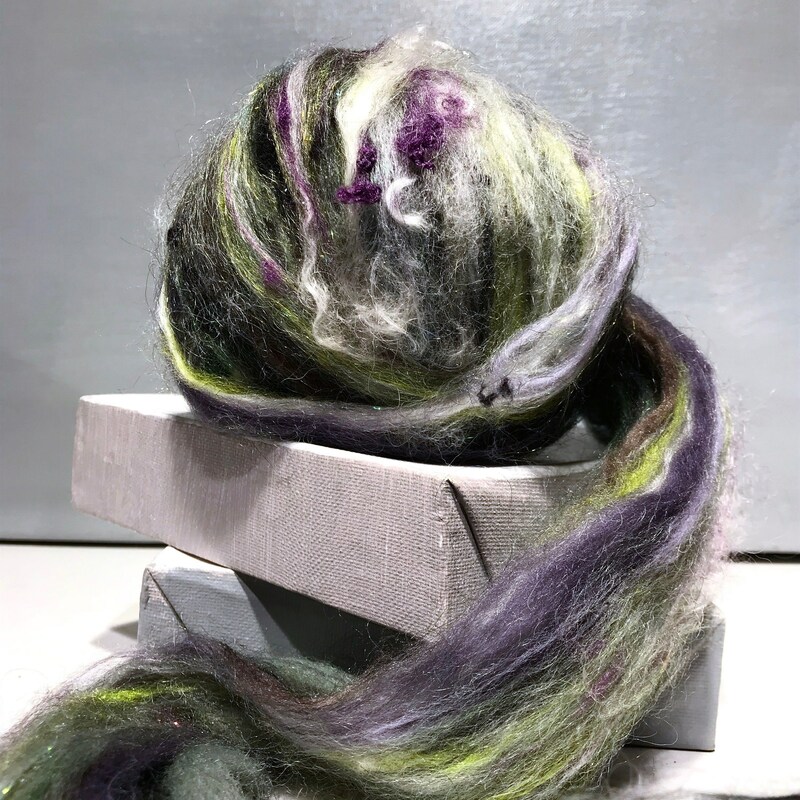 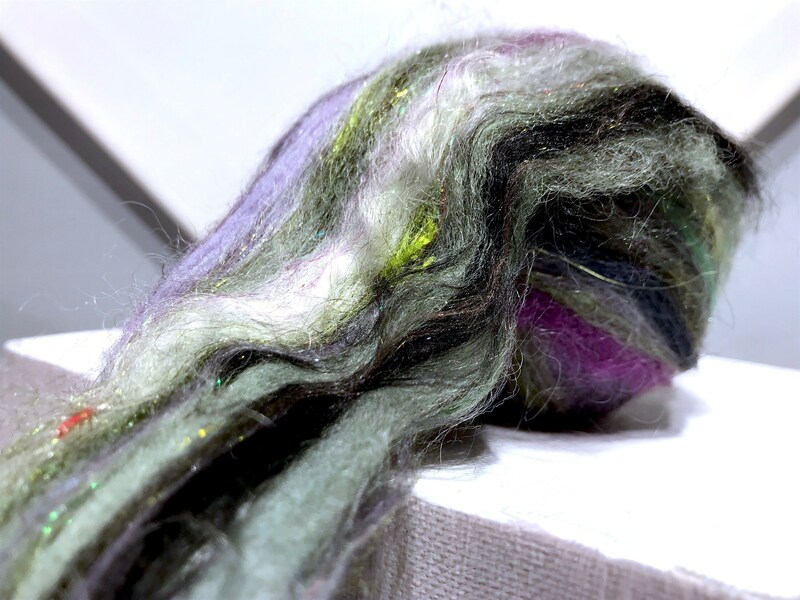 Wildethyme Art Roving is an art batt of carded fiber pulled into a lumpy, bumpy ball of loose roving. 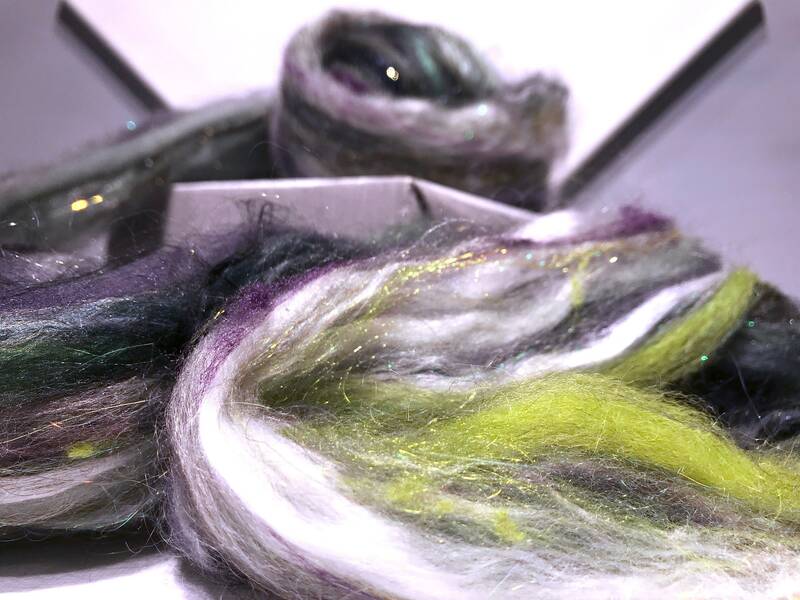 Spin, weave, felt them, even sew them!… They add great drama and pizzaz to any and every fiber discipline. 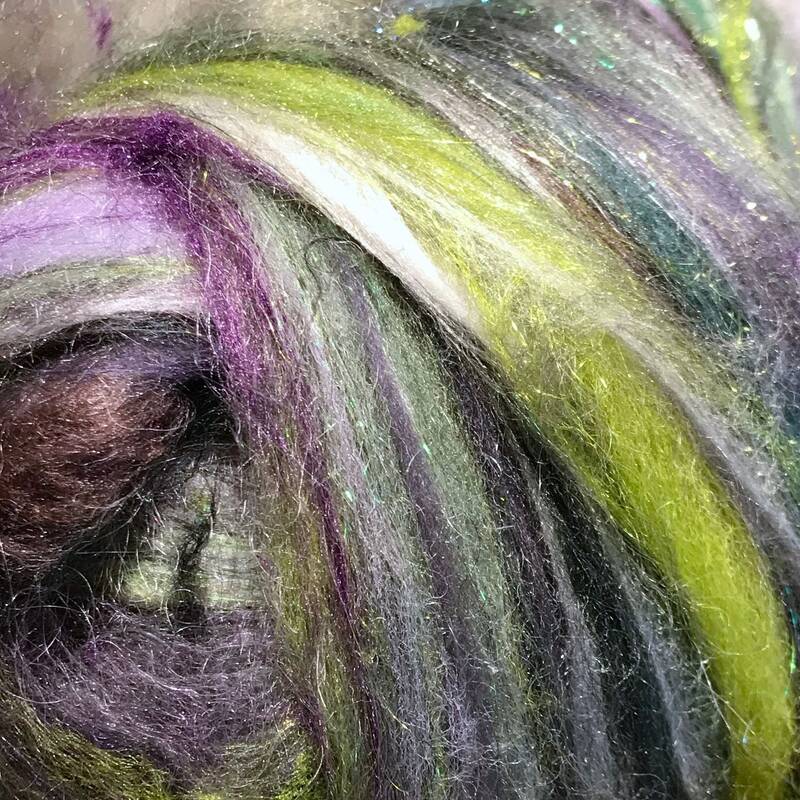 Photos: We do our very best to represent our colors and textures, photographing them under varying light conditions... Having said that, we hope that you'll understand that there are so many variables that will affect what you see (including monitors, climate and individual perception) and that you understand that some differences can occur.